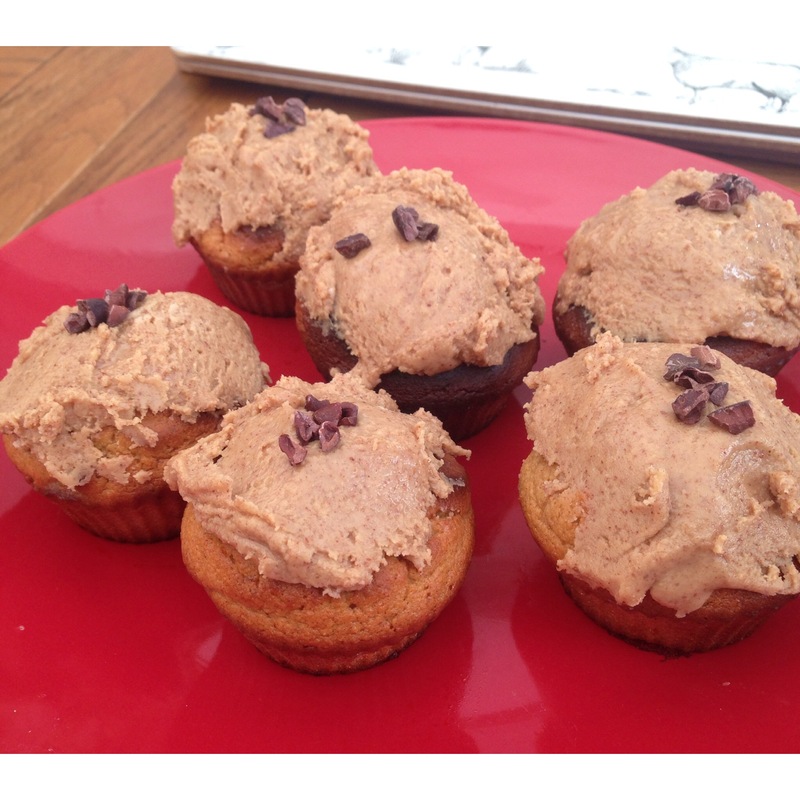 Peanut butter muffins that aren’t bad for me…I’ll take 10 please! I love baking and I also love turning my favourite treats in to clean bakes. However baking is not my forte, especially clean baking but these were a huge success! When I’ve previously tried to create some ‘clean’ cakes I’ve used coconut flour and found that it’s a pretty hard ingredient and consistency to work with often leaving the cake too dry and crumbly. Never fear though for I have found the perfect ingredient to make your clean bakes as light and fluffy as a ‘regular’ cake should be! All hail almond flour. Almond flour is a little more expensive than coconut flour but I’d say it’s definitely worth it if you’re someone who does a lot of baking and will use it regularly. These muffins are possibly my biggest clean baking success yet and I’m putting it down to the almond flour. – Start by pre-heating the oven to 250 degrees. Then either using a hand blender or a smoothie maker mix the almond flour, chopped dates, eggs and maple syrup/honey together. – Once the muffin batter is thoroughly mixed transfer to some muffin cases and bake in the pre-heated oven for about 12 minutes. NOTE: check on them after about six minutes as mine cooked super quickly! – Take the muffins out of the oven when cooked and leave to cool. To check if the muffins are ready insert a knife in to one and if it comes out clean then they are cooked. – To make the frosting put the peanut butter, icing sugar and maple syrup/honey in a bowl and mix together. You may need to add more peanut butter or icing sugar if it isn’t the same consistency that regular frosting would be. 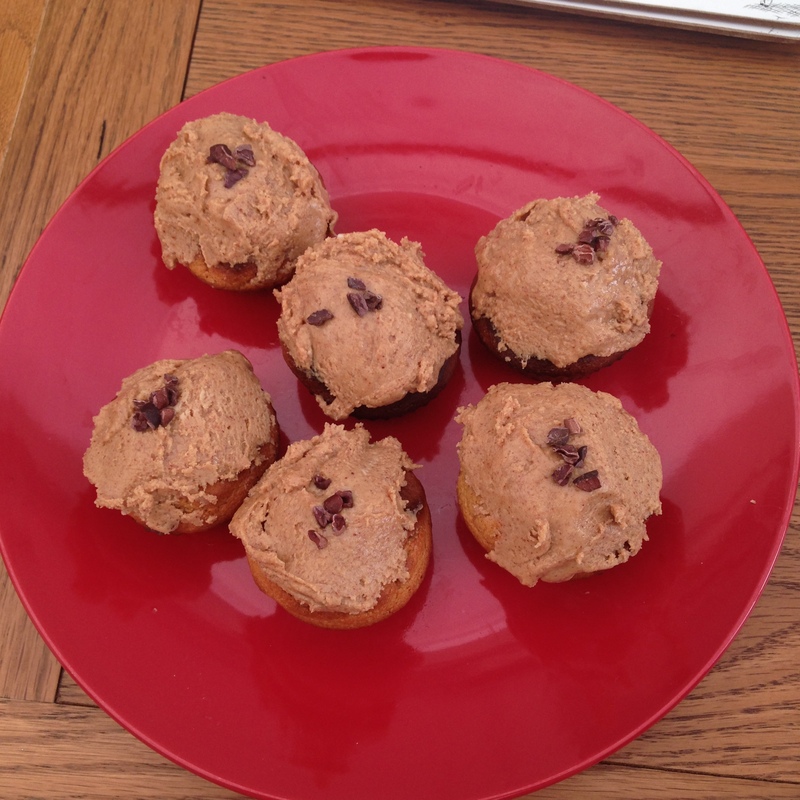 – Once the muffins have cooled spread the frosting on top and decorate with a few raw cacao nibs and enjoy! I’m working with a nutritionist!? My week in training – 50 days to go!